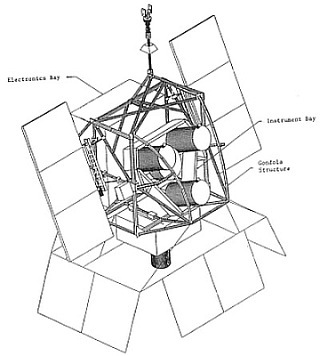 HIREGS was a high resolution gamma-ray spectrometer, developed as part of NASA Space Physics Division's MAX 91 Program to study solar flare activity from long duration balloons during solar cycle 22. The study of flare gamma-ray emissions was aimed to obtain a better understanding of the relation of solar flares to the larger picture of solar activity, the solar cycle, and the field/particle environment of the earth. The HIREGS instrument consisted of an array of twelve 6.7 cm diameter x 6.2 cm long n-type germanium (Ge) closed end coaxial detectors which were cooled by three 50-liter liquid nitrogen (LN) dewars. Eight of the detectors were electrically separated into front and rear segments to improve the low energy background and flare performance. The detector array was surrounded by an active shield that reduced the gamma-ray background by allowing the anticoincidence of simultaneous detector and shield events. The shield system consisted of 5 cm thick Bismuth germanium oxide (BGO) segments at the rear and sides and a 10 cm thick drilled Caesium iodide (CsI) collimator on the front which determined a field of view of 24º. Additional hard X-ray (<200 KeV) passive collimators inserted in the CsI collimator covered half of the detectors, limiting these fields of view to 3.7º x 24º full width at half maximum (FWHM), allowing separation of point source spectra from the diffuse Galactic continnum. The detectors, LN dewars, shield, and collimator were held in a cradle structure that was in turn supported within the balloon gondola. The gondola frame was 7 x 9 ft. wide x 7 ft. tall. Including the solar panels, it spanned 17 ft., and including the tripod and rotor assembly, above, and the SIP solar panels, below, it was -19 ft. tall. All pointing was determined relative to the Sun and was controlled by the Gondola Control Unit (GCU). The GCU was an independent computer dedicated to pointing operations, the collection of housekeeping data, and the acquisition of GPS information. The GCU also controled various power relays and could receive commands from the main computer as well as from the several telemetry command links. The detector craddle could be pointed for solar and celestial observations with an accuracy of 0.5º both in elevation and azimuth. The Azimuth orientation of the instrument was determined by the relative position of the azimuth Sun sensors with respect to the gondola. When the gondola was pointed to the Sun in Azimuth, the elevation drive could be operated in a feedback loop with Sun sensors mounted on the cradle axis to locate the Sun in elevation. Power was provided by a 8.1 m2 solar array made up of cristalline silicon photo-cells, arranged on two lateral panels that delivered up to 1000 watts of power during the flight. Also, a set of pressurized lead-acid batteries located in the electronics bay could power the instrument for several hours if the solar panels were pointed away from the Sun. 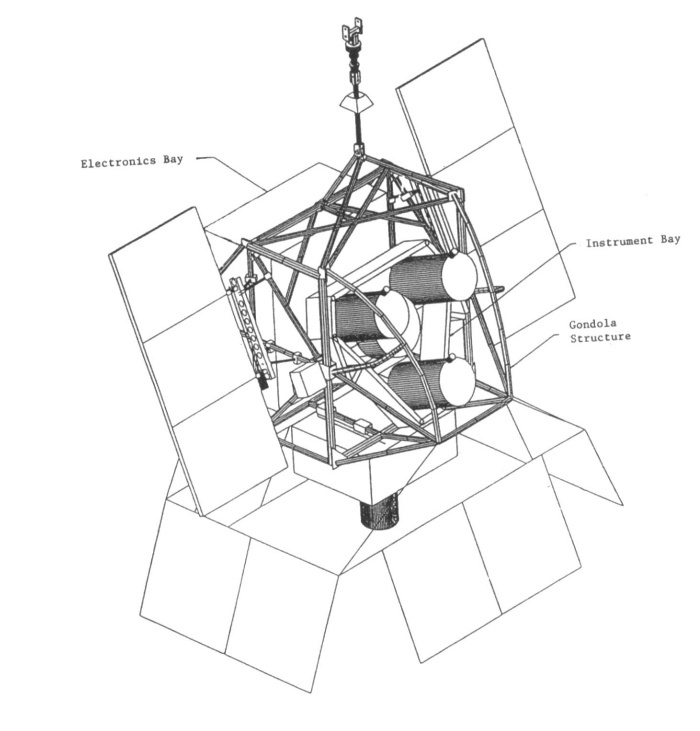 A computer controled the instrument commanding and housekeeping, and also packed the data and recorded it in an Exabyte tape storage system which could save up to 4.6 Gbytes of information (enough to hold all the data generated in a 3 week balloon flight). Also the data was fed to the telemetry system which could send it to a ground station or to an LC-130 aircraft that was sent to underflight the balloon every few days. That system served as a backup in case the onboard storage tape could not be recovered after the flight. HIREGS counted with two communication systems, a Line-Of-Sight (LOS) telemetry available only when the balloon was within the range of a ground station or a underflying aircraft and a high frequency (HF) link which could be used during the entire flight to send commands to the instrument. Complementary, ARGOS and INMARSAT satellite based systems were also available. This was the second flight of the instrument in a long duration balloon flight in Antarctica. As during the mission, aircraft were not available to retrieve underflight data, all the information that was collected in the flight was recovered from the tape system in the form of event data.